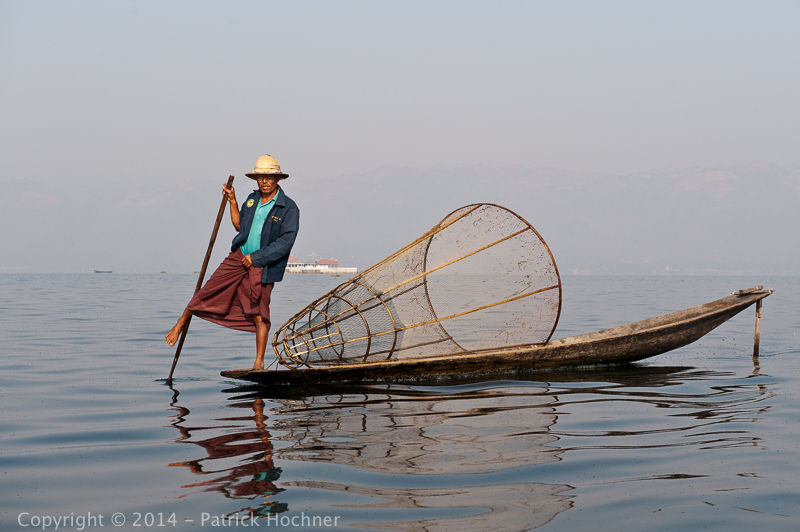 The first time I visited the Inle lake in the Shan state was back in 1976, and I loved it. Actually, I loved it so much that I returned two more times to Burma within a year (at the time, the stay for foreigners was limited to one week). There were no tourists, no hotels, nothing, just the local people, the Intha, the Shan and a few other minorities people. I slept once in a school, and then was invited in a private house. 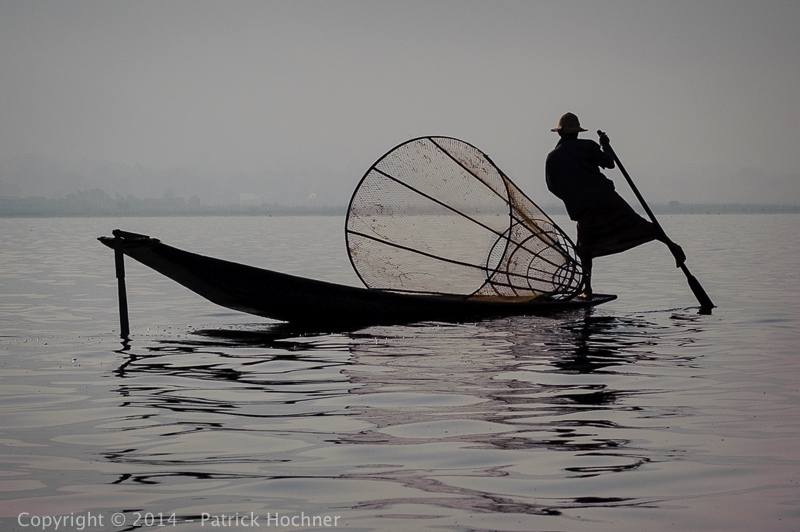 The Inle lake is known for the way the people use their leg to row. 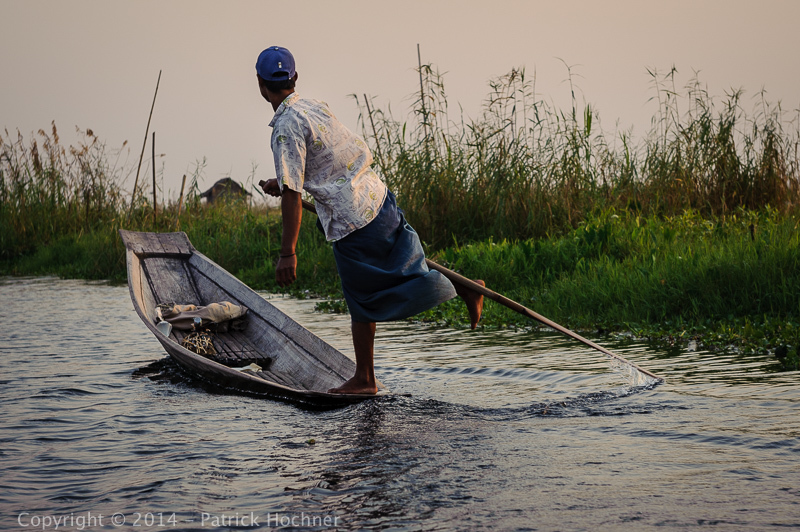 Indeed, local fishermen are known for practicing this distinctive rowing style which involves standing at the stern on one leg and wrapping the other leg around the oar. I have always wondered why this technic. I was told once that it was because the leg being much stronger than the arm, it simply was a more efficient way. But actually this unique style evolved for the reason that the lake is covered by reeds and floating plants making it difficult to see above them while sitting. Standing provides the rower with a view beyond the reeds.